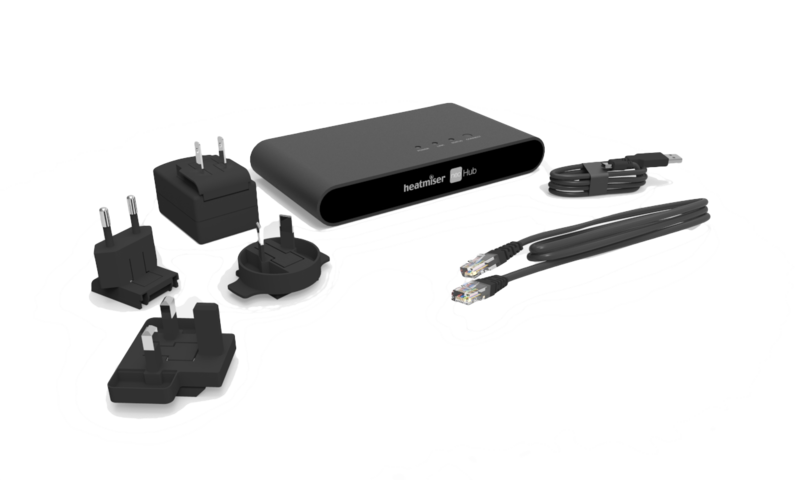 The neoHub Gen 2 handles all of the network communication between the neoStat, neoAir and neoPlug and is very much the brain of the Neo System. Therefore you will require one if you’re looking to control your heating & hot water system from your SmartPhone. The neoHub Gen 2 connects to your home router by an ethernet cable, so one free port is required. The neoHub Gen 2 is very much plug and play and pairing neoStat’s, neoAir & neoPlug to the neoHub Gen 2 couldn’t be easier. After you have paired all of your Neo devices (up to 32 are supported) you will have In Home and Remote access of your heating, hot water and appliances. To ensure your neoHub Gen 2 is always up to date, your neoHub will automatically download and install updates so you will always benefit from the very latest software enhancements. As the Heatmiser neoHub connects via the Heatmiser Cloud Servers, there isn’t any technical setup. The Heatmiser neoHub handles all of the network traffic, automatically routing data the best way from neoStat to neoStat. Mesh Networking helps to ensure you have great coverage throughout your home. For troublesome signal areas, the neoPlug can be used to boost the signal. Our auto updates will ensure your neoHub and connected devices are always running the latest firmware, this means you can benefit from our latest software enhancements. neoHub is supplied with UK, EU and Australian Power Adaptors. The Heatmiser neoHub uses a direct ethernet connection, so you will require one free network port on your router.